Office Cleaners Services in London Great Deals ~ Save 25%! Don’t let your office get dirty, stained up or prone to bad odours when it is easy and simple to call 020 3397 4918 and have our office cleaners at Tidy Up come to clean your office. Our cleans can be done whenever you like and even if you choose to have our office cleaning team come out to clean your office at a time that may be considered as within antisocial hours then we will still be happy to come out to you and clean within these hours. We understand the importance of your working life and we know that in order to keep your great business reputation amongst your employees and clients, it is vitally important to keep your work space clean and tidy. This is not always easy when you have lots of other things to be getting on with during the working day however, the cleanliness and tidiness of your commercial environment should not drop as a result of you yourself not having enough time to keep on top of your cleaning duties. When it appears to difficult for you to keep your commercial property from looking dirty and less than clean, it is time to call in our professional office cleaning team to give your office space a good, thorough clean! Put yourself in the position of your clients, business partners and employees. Would you buy, order or deal with a company whose office environment appears dirty, perhaps smells and the upholsteries have noticeable stains on them? Would you pay out money to a firm that doesn’t see the importance of keeping their working environment, the place where their own team works in all day long, clean and presentable? Would you like to work in a place all day long that smells looks dirty and has a very unwelcoming atmosphere from the moment that you walk through the door? We think that it is clear that you have most likely answered no to all of the above questions and so let us now ask you a question that we hope you will say yes to – is it important to you and your business to maintain a good looking, attractive office environment? Do you appreciate and respect your business, clients, employees and partners enough to invest either time or money in to making sure that your office looks clean, tidy and welcoming at all times? We hope that you have said yes to the last two questions and if so, this is where we can help you. Our team is made up of the most professional office cleaners who can give your office a good clean in a very little amount of time, which means that we will not cause any disruption to your daily working life, your employees and to your clients. A good clean by our expert office cleaners could do wonders for your business as we are sure that you alone will not be the only one who is impressed by our high quality office cleaning services. 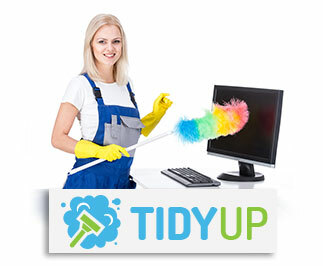 When our office cleaning team at Tidy Up comes to give your office a great cleaning experience, you will find that our team is very thorough and the results are outstanding. We don’t like to do things by halves and that is why we have put together an overall great value package which includes a high quality clean which can be undertaken at any time you choose, a professional office cleaning team and very low prices. If you want to keep your office clean for just a small cost then call us now on 020 3397 4918.